Which are the best motivational blogs to be following? Throughout the past 3 years, I’ve been able to chat with many other great people who run their own blogs in similar categories such as Success, Self-Development, Entrepreneurship and so on. Since I share a passion for all these individual areas, I follow various other blogs sharing this great content, and love to read them when I get a minute. 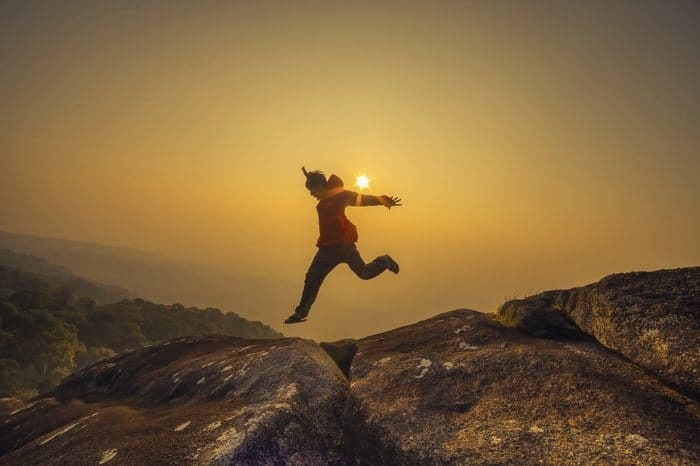 We’ve update the list of incredible motivational blogs to follow, for the year 2019! We first created this list back in 2015, and it’s now been updated. 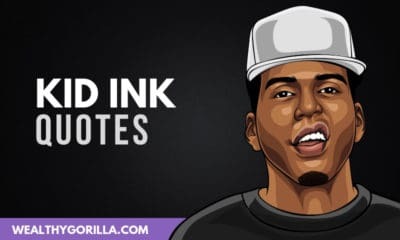 There’s a couple of new entries on the list this year, and we dropped off some of the blogs that are no longer being updated. 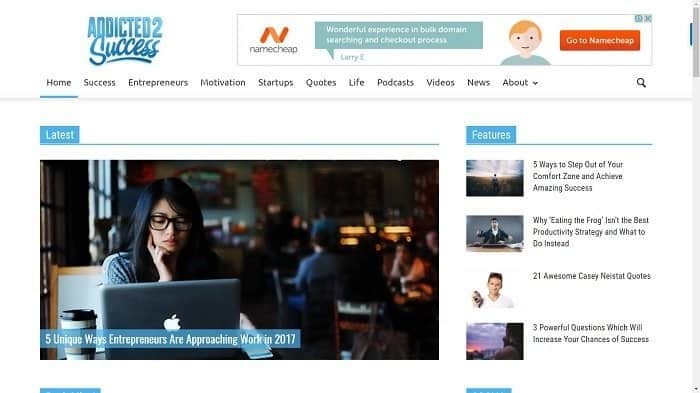 Check out an awesome collection of the ‘Top 25 Motivational Blogs For 2019’. The below are the top 25 motivational blogs for 2019, in our opinion of course! We haven’t listed them in any particular order so it’s fairly randomized. If you’ve been featured in the list please do feel free to share it on your blog or with your social media following. Founded by Joel Brown – Addicted 2 Success is a blog that primarily focuses on success advice, but the majority of the content is motivational, and now having reached 110 million views worldwide, it’s become one of the most popular motivational blogs in the past 6 years. 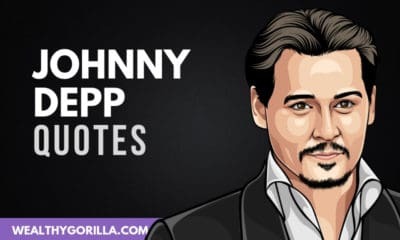 Founded by Cris Nikolov – Motivation Grid is top motivational blog sharing quotes, videos and articles that relate heavily to happiness and productivity. It was founded by Cris roughly 3 years or so ago, and now gets half a million views per month. Founded by John Wesley – Pick the Brain has been operating since 2006, and since then has expanded and brought new members onto the team. It’s three main categories are motivation, productivity and health, and I had the honor of being featured on the blog recently. 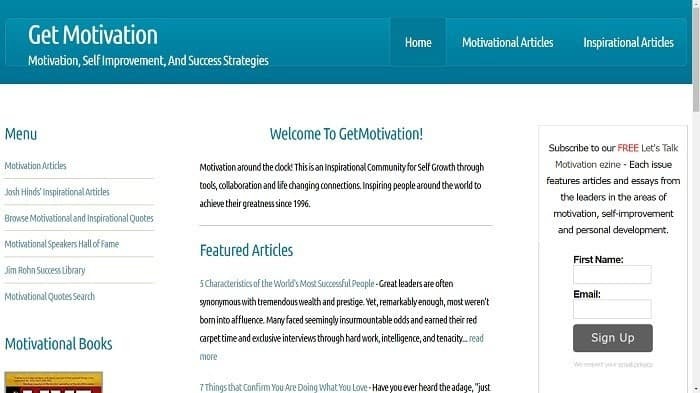 Founded by Josh Hinds – Get Motivation is another of the great motivational blogs, focusing purely on motivational articles, stories and quotes. 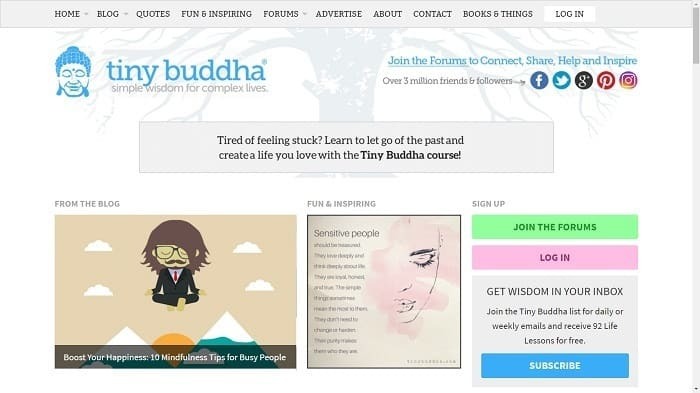 Founded by Lori Deschene – Tiny Buddha is the worldwide famous blog geared towards living a happy, peaceful and confident life. After racking up millions of social media followers, Tiny Buddha definitely deserves to be on this list of the top motivational blogs. Founded by Jay White – Dumb Little Man was actually founded after Jay stumbled onto Blogger and did a little messing around after work. It features all the great categories you’d expect to see on motivational blogs such as happiness, success, money and life hacks. 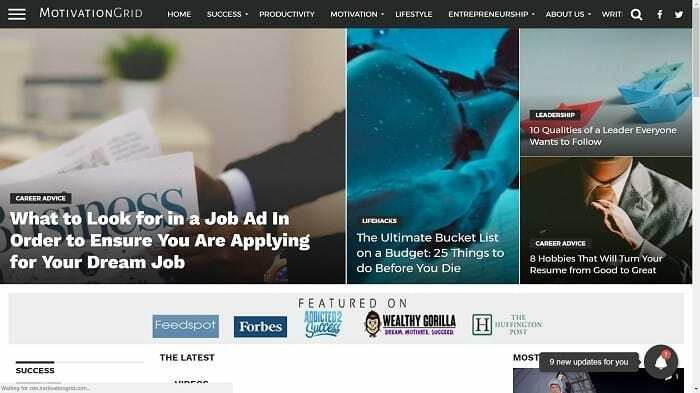 Founded by Alden Tan – His blog is one that I’ve mentioned before on Wealthy Gorilla, because it differs from the usual formal style of blogging. Alden’s advice is all about living your life freely without all the worrying what others may think of you, but it’s raw, straight to the point and explicit. 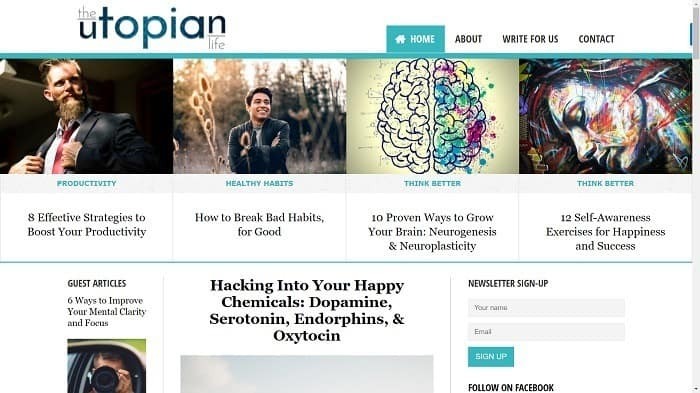 Founded by Thai Nguyen – The Utopian Life is another great motivational blog that Thai created to share his thoughts on happiness, productivity and motivation. Thai has a huge passion for writing, and that’s what tips this blog over the edge. 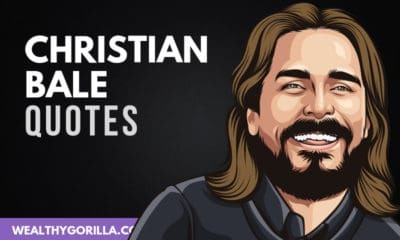 Founded by Stephen Guise – He’d probably hate me for including Deep Existence on this list, because he doesn’t believe in the philosophy of motivation. Stephen says that what he writes about is 12% inspiration and 88% logic. Yet the blog is still motivational to the large number of people that do. Founder Unknown – I Need Motivation is much more than just a blog, it’s a business based on personal growth and self-development. The team behind it has written many books on these subjects, and they also hold seminars and coaching sessions. 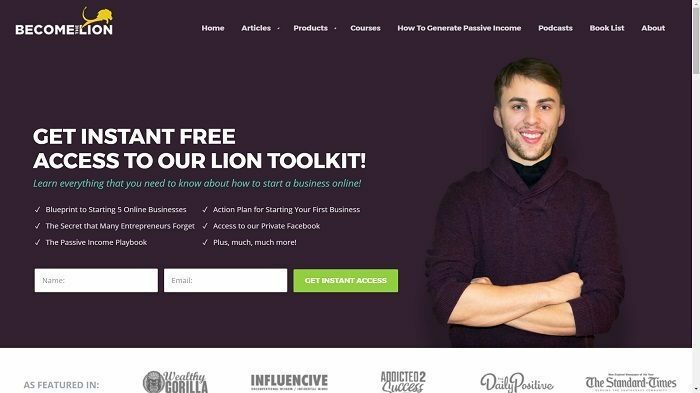 Founded by Nicholas Xifaras & Trevor Oldham – Become the Lion is a relatively new blog founded by the two entrepreneurs, that sets out to motivate people towards success. They already have over 200K Facebook fans! 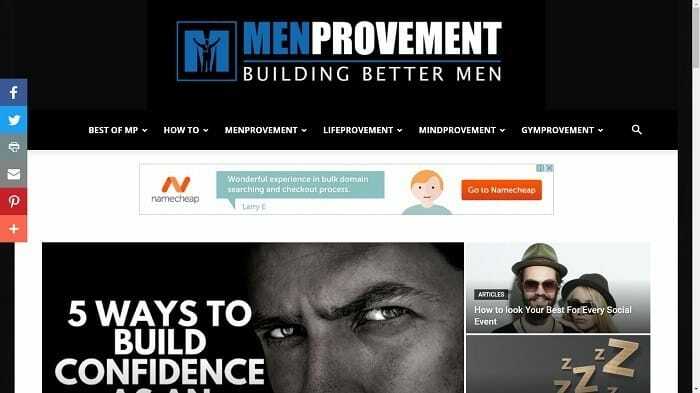 Founded by Sean Russell – MenProvement is a motivational blog specifically targeting men, and as you can tell from the title; it’s all about men improving their lives. Becoming successful in life and with women, building their dream body, are the main things that Sean writes about. Founded by Steve Mueller – Planet of Success is another great personal development blog that motivates and inspires individuals. There hasn’t been too many posts published on it recently, but what’s on there currently s definitely worth reading. 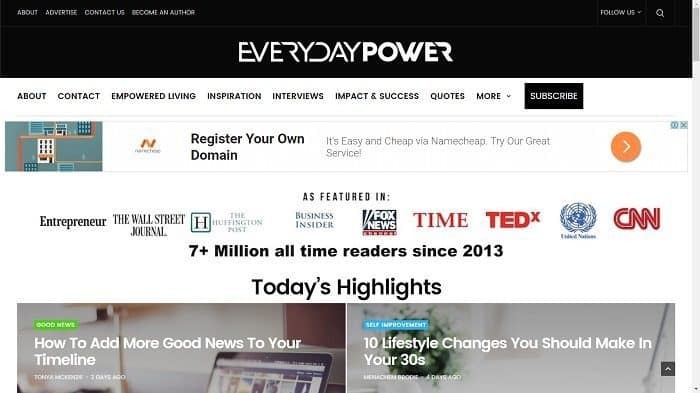 Founded by Jeff Moore – The Everyday Power Blog is all about being able to become the best version of yourself, and Jeff is giving you both the tools and inspiration you need to get started. 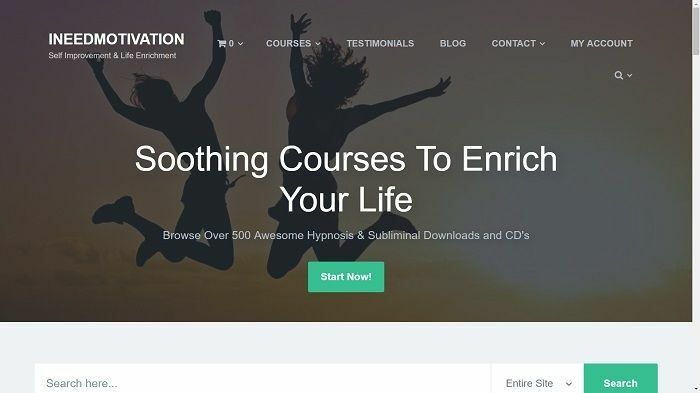 Founded by Remez Sasson – 15th on the list of top motivational blogs is Success Consciousness, where he writes about skills, inner powers, improvement and positivity. Remez has also written several books within these topics, that you can learn more about on his blog. 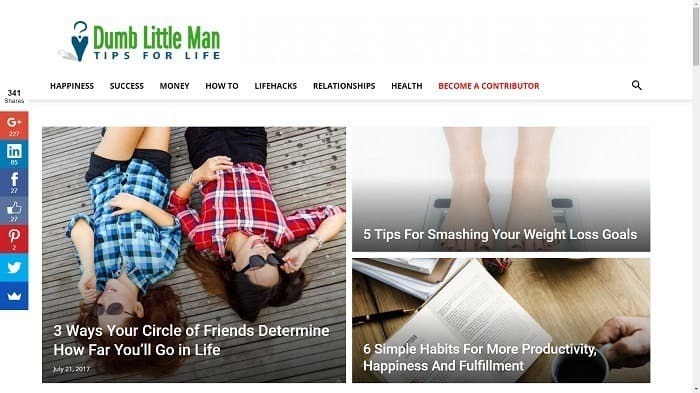 Founded by Leon Ho – Life Hack is regarded as one of the most popular self-development blogs on the web. The team has expanded widely, the site’s had hundreds of guest contributors over the years. If you haven’t yet checked it out, do so shortly. Founded by Moses Simuyemba – There’s a lot of different content to be found on Motivation for Dreamers. I actually only just recently stumbled onto the site through a Google Search. Founded by Scott Smith – Motivation to Move mainly focuses on success coaching, and like many of the great motivational blogs on the internet, Scott’s story is an awesome one. Visit his blog for articles on fitness, personal growth, motivation and more. Founded by Henrik Edberg – The Positivity blog is all about… yep you guessed it, being positive! Henrik started writing self-development articles back in 2006, and the blog has stood the test of time, continuing to be a great motivational resource. 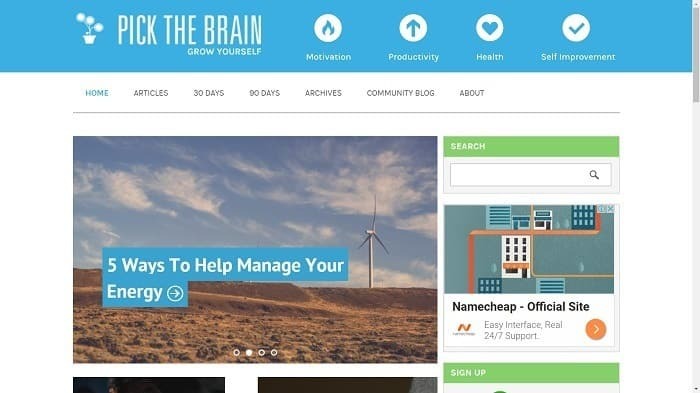 Founded by Mark Shead – Productivity 501 might not be considered as a true motivational blog, as it’s all about productivity, organization, technology etc. Yet it’s not to go unnoticed for many of those articles giving people motivation in areas like productivity. Founded by Evan Teague – Motive In Motion is a relatively new blog on the scene, that focuses on developing the mindset behind success. It’s another awesomely motivational blog you can’t miss! 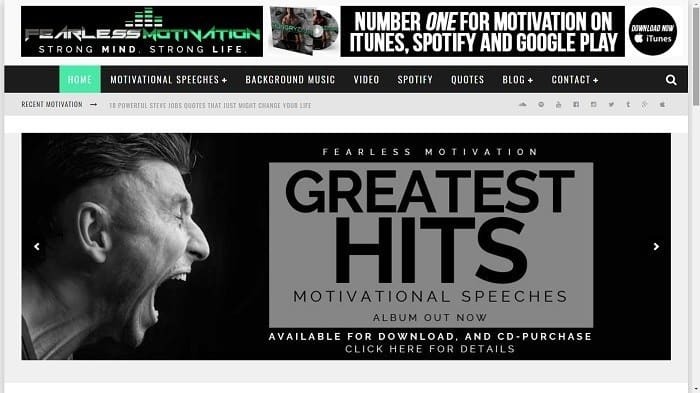 Founded by Nick Macri – Fearless Motivation is a great hub for motivational speeches. They have over 4 million views on YouTube, and a tonne of great motivational content to check out! 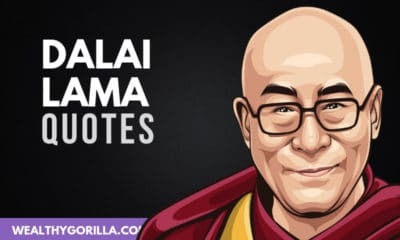 Founded by Leo Babauta – Zen Habits separates itself from what’s now known as the traditional type of blog, by including only one post on the homepage. There are no ads or fancy designs used. Just pure content. It’s been regarded as one of the best self-development blogs on the net. 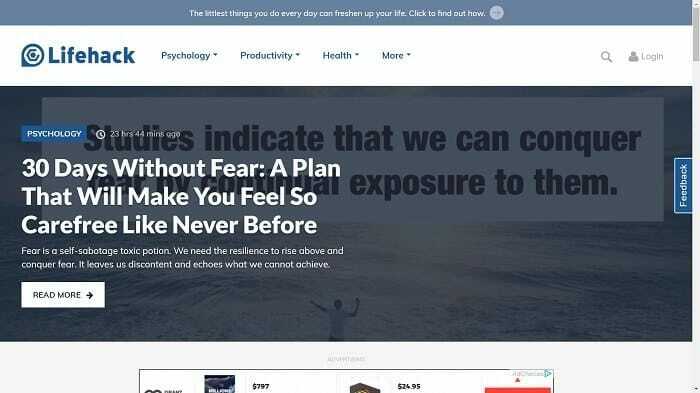 Founded by Peter G. James Sinclair – Motivational Memo is one of the rare motivational blogs backed up by many years of experience in business and writing. 25 years to be precise. If you’re looking for posts in categories such as leadership, wisdom and wealth, Peter’s the guy to go to! Founded by Scott Young – His blog covers it all: Goal setting, productivity, health, entrepreneurship, learning and life philosophy. It may be last on the list, but like I said before, it’s in no particular order. Definitely check it out. If you made it onto the list, we’ve love for you to link back to this post on your blog and share it with your social media following. Alternatively, if you’re not a blogger and just enjoyed the list, you can share it with your friends and family using the buttons below. Which are your favorite motivational blogs? Leave a comment below. Thanks Clement, keep working hard and you’ll get there one day. I’ll check out your blog shortly! Great collection! especially Zen Habits, I like that relaxing and easy reading blog.. In my opinion should be in the top 10.. I love Zen Habits too! Thanks for stopping by and I’m glad you enjoyed the list. Good list though, wheres this site? Nick, great site! I’ll have to include it on one of the next lists I produce! Would ArtofManliness.com fit into this category? A good site nonetheless. Loving discovering your lists. We actually included Art of Manliness on one of our other Top Blog Lists! Thanks for sharing the list. I am a regular reader of the positivity blog and consider it the best by far. Thanks for this list! Some good ones on there, look forward to checking them out. We all need a little more productivity and motivation! Great List. Hope my blog too get into the list. Thanks a ton for showcasing such great words on the internet at one place. Thanks Dan for this awesome compilation. Many of these are new to me. Will checkout them for sure ! That’s awesome Silvia, I love creating lists that people can keep on referring to! This is a great list – thanks for putting this together – inspires me to want to get my name added to next year’s (hint hint). Keep up the good work, and thanks for your comments! Hi Dan, nice list. I checked these blog and they are all awesome. Thanks Cornel! Good on you mate! this great article for life and the list is really effective and helpful. Thank you for your article, and for all the blogs you have shared. There are a few I already know and others I don’t but I would love to check them out. Keep up the good work, and wish you all the best with your blog! Great list I can say. People need motivation everyday and we appreciate the role these blogs have played in motivating the world. I have a motivational blog that I launched a week back. Thanks Lungelo! Appreciate your comments! Love the list. Hopefully we will be considered for your next one. I’m sure you will love the thought seeds we plant there every week! thanks for this list.. I will check all site you suggest to increase my motivation to blog,. This is good! Would like to really thank you for compiling the list of motivational blogs. It’s so much better than searching it online every single time. Looking forward to reading them all. Cheers! That was the plan Simran! Always best to have an awesome list to refer to in case you forget any! I know this is from 2015 but still very relevant list. I have found using productivity tools like focus booster are a great way to keep focused! You get to a point in life where time is your most valuable asset don’t waste it! Nice site I like it so much information and all of very helpful. Great list Dan. A great resource to come back to again and again. Keep up the great work. Hey Dan, Really happy and feel motivated from the hard work which you have done on your site. A great collection of blogs to follow for living a highly motivated life. I feel happy to connect with you and aspire that one day my blog will be on this list. But prior to that a lot to learn from you. Please share what drives you to write daily and what is your source of motivation. Very excited to know it. I wonder how many on this list on the reading lists of super successful people. I’m running a motivational and personal development blog as well. And I know for sure that one day my blog will also be featured. And now you’re a guest blogger for us as well Shawn! Thanks a bunch and keep up the good work with Stunning Motivation! Thanks for sharing. Though I moved to a few website, but the links you have shared is really helpful, especially #23 Den Habits. Thanks for stopping by Nakul, glad you found the links helpful! it’s such a very nice list… keep it up…. Great list buddy , loved it! and I am glad I have found more blogs to check out. I totally agree with you, i am too like this, i always create perceptions that it will gonna work, so i don’t wanna do.. and that is really destroying our motivation.. But i am so inspired by your post..that from now i will try my best to encourage myself. Thanks a bunch for the comments! Great to hear that you’re inspired by the article! I’m glad i found something like this. Nice collection keep it up. I look forward to the day my blog will be featured on your list. Great list, gone through a few of them, hopefully one day I will get on there as well (I only just started). Also love the logo you have! Did you make it yourself? Appreciate that! Unfortunately I’m not that good at design, but we had someone else design the logo for us :). Thank you for the list. It will help me to boost my self motivation. Great list. Quite encouraging for beginners. I hope to make this list next year! Yeah baby! 2017’s not far away! Keep up the good work William! So happy that he made it to #7 on your list. He is my personal favorite. I like the way he writes and opens up with his blog. Anyway, thanks a ton for the list. I’ll definitely help me. All of them are great blogs. Great job. Great motivational blogs. Thank you for sharing . Very informative blog, I always love to read motivational blogs. Will keep you visiting regularly now. Thanks. It’s a super great place to come and get some tips/inspiration. I’m so glad I found this spot online. Thanks man!! This helps a lot! Nice list, I’m sure it took quite a bit of time. I added some of the list to my favorites. I have found a new site, called the MorningBeansBlog (www.morningbeansblog.com). Lots of articles, and well written, I hate it when blogs are not careful with grammar and spelling. Really Nice List of Blogs Here. I will surely get motivation from all of these. I agree. It’s a total wonderland on here. Where have I been? I just discovered it today! Thanks a lot, every single blog that made the list is a blessing to humanity. they all deserve the badges. I recently started out my own blog and would love to see me on this list as someone the world would benefit from. I really like the list………..I really think these articles help people to stay motivated but the best way of motivation is self motivation……Though i really like your list and thanks for the information. 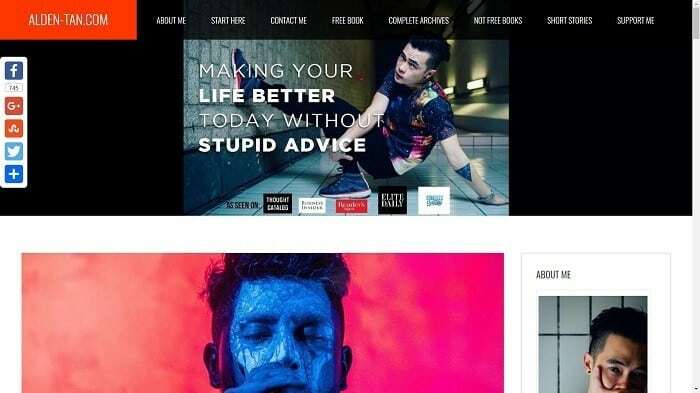 What a huge oversight in not having TakeYourSuccess.com on your list—haha just kidding. But my site will be on your list in a matter of time. Trust me! Starting my own blog on Motivations and Inspiration in our life to get big goals at our foot.. Also it is your site that is going to help me a lot in finding such blogs, so that I can analyse them that what the viewers want. After all thanks for such a nice Top list of such Blog Leaders. See My Blog is Coming soon!! Hi Dan! it is really a great list,some of which I follow. I also write motivational blogs which you can read on my blog link.Happy New Year to you. Mateusz M is simply amazing. Love his page and his videos! What’s your criteria for a blog to make the list? Thanks. I’ve been reading “Life Hack” for ages now. Full of interesting helpful tips to not struggle too much with things. I do find the “Positivity Blog” a super inspirational set of articles, full of great advice on how to overcomes doubts and down moments. Great list, I’m gonna check it out fully. Thanks for spending the time to make it. Nice list of blogs that motivate us. 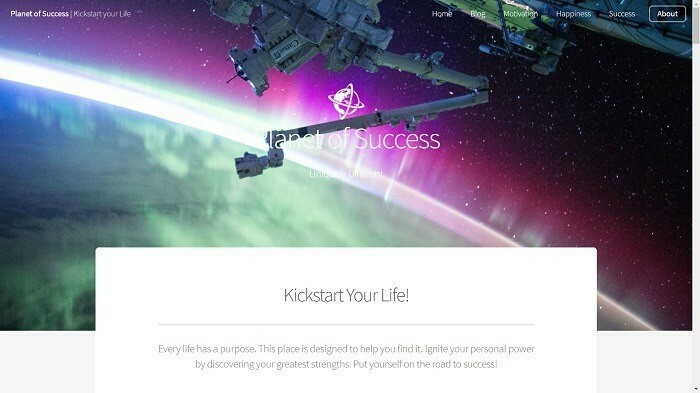 I have read “Become the Lion” blog and it has good motivating and inspiring piece of content. Really powerful list, cheers dan, i love your work. you can check out mine’s i’ve recently launched. thank you so much. Wow, nice list. But how come I didn’t see MotivationDaddy.com here. It’s one of my favourite blogs, anyways, thanks for the list. Motivating people is the best thing as it spreads love and help others in celebrating success. Commendable work. Love this list. Become the Lion is great for daily motivation, for additional inspiration check out their book that just dropped a few months ago. One person to check out is davemeltzer.com, amazing speaker and author. I will be navigating these every time I need a daily dose of motivation. Got pretty excited. I thought I was on the list. 🙂 I’m just kidding. Great list. Thanks for this list Dan, really helpful in finding the best sites. 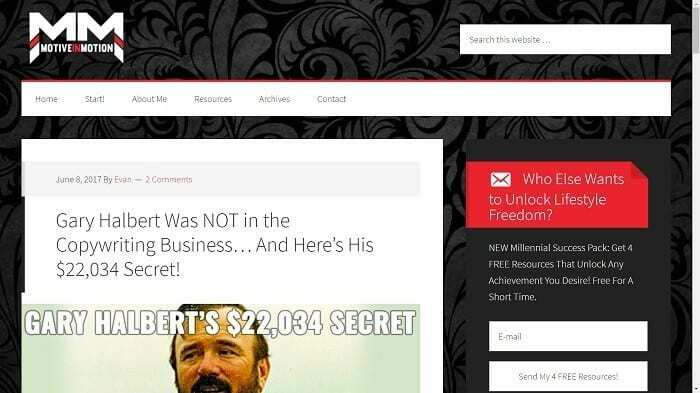 Thank you Dan for including my website in the top 25 best motivational blogs this year too. Such a list, helps people find useful information and advice to help them with their life. I saw your blog and it is amazing. Here you have given a great list of motivational blogs. Not only these blogs but yours too is playing a great role in motivating the world. Thanks for referring these sites but I loved your site too. Really appreciate your research in motivational blogs, helped me saving time, one place with all blog links. I will bookmark your this post. Thanks for saving my time or sharing your post. Fantastic list Dan. Enough motivation to keep me going in there for the next 10 years! This is a great list, including some of my all time favourite blogs. My name’s Saurav and I’m part of the team behind Conscioused. Conscioused is a relatively young startup that is seeking to target what we feel is the biggest issue in the world right now: education. Our vision is to be a university for life skills such as social skills, mindfulness and entrepreneurship. Currently, we are writing a blog that distils some of the best ideas, from the best minds, into engaging and interesting articles. Eventually we aim to expand into creating an open source, collaborative curriculum for life skills before creating a social network for learning. It would be awesome if you could check out our blog at conscioused.org and include it on your list! Thanks its a really great list, a bit of motivational assistance is exactly what me and my team need. Keep up the good work its greatly appreciated. This is a really helpful list. Awesome list, it is a kind of one stop solutions for all your motivational blogs. really motivates me, each and every blog is awesome. Thanks for sharing. I really liked. Dan Western valuable information as always! I admire all your hard work! Thank you very much for this awesome post. From now on Wealthy Gorilla is one of my favorite sites to visit. Thank you again, Dan for all your valuable knowledge and expertise! In my opinion wealthy gorilla is the best! Great list, thanks! Will go through the entire list!